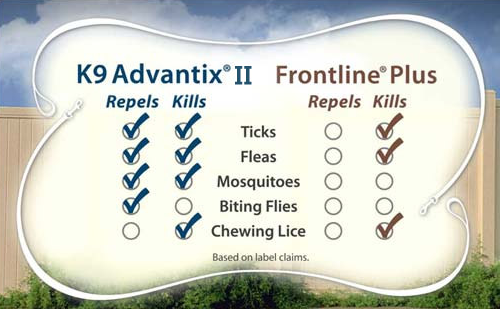 Home » Dog Health » FRONTLINE PLUS VS K9 ADVANTIX: WHAT IS THE BEST FLEA MEDICINE? 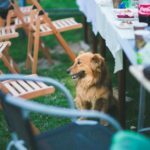 FRONTLINE PLUS VS K9 ADVANTIX: WHAT IS THE BEST FLEA MEDICINE? Discomforts and unwanted pains that biting pests like ticks and fleas inflict on dogs cannot be overemphasized. In severe cases, when some ticks bite, it can lead to serious illness such as Lyme disease, and also are fleas a carrier of tapeworm. It requires little or no effort to protect your dog, but then, how do you determine the type of repellent that works best for your dog? With varieties of options, like Revolution for dogs and Comfortis, it can be pretty difficult in discerning which medication is just perfect for your dog. It is recommended to use a proven brand when it come to this type of medication. Some can harm your dog more than others. You’ve probably come across few people who recommended either Advantix or Frontline Plus to you, or even heard about both of them. Depending on what pests your pooch is exposed to, her lifestyle, and how old she is, one brand might just suit your pooch better than the other. Frontline Plus and K9 Advantix for dogs are two of the top tick and flea medicines. But it’s pretty hard to decipher which is better for your dog, so I am just going to hint you about the key differences. 1 Based on the type of pests each brand protect against? 2 How long does a dose last? 2.1 Should my dog be kept inside or alone after the dose? 3 Any side effects associated with the usage? 4 How old can use the medications? 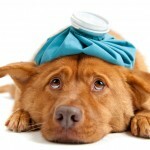 5 Can I use the medications for pregnant or nursing dogs? 6 How do they work? Based on the type of pests each brand protect against? Frontline Plus kills chewing lice, ticks and fleas, and also serves as a source of prevention to the laying of new eggs by the fleas. K9 Advantix kills chewing lice, mosquitoes, ticks and fleas, and also repels mosquitoes, biting flies, fleas and ticks. So this may be the best choice if you are living in an area where there are lots of flies and mosquitoes. After application, both medications still last for one month; even if you bathe your dog, or she goes for swimming, the medics keep working as both are waterproof. Should my dog be kept inside or alone after the dose? K9 Advantix is a medicine that is quite dangerous to aquatic life, so it’s rather advised that you wait for at least 48 hours after application, before allowing your pooch to swim in a pond or a lake. K9 Advantix is very harmful to cats, so due to this reason, it cannot be used on cats, neither should your pooch be kept anywhere near the cats for 24 hours after applying the dose. After applying Frontline Plus, you should never allow your pooch to get wet until just 24 hours after the product is dry. Any side effects associated with the usage? Temporary skin irritation is the general side effect of both products. However, if this symptom persists and gets worse after a few days, contact a veterinarian. 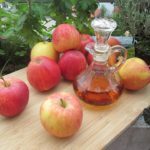 How old can use the medications? At least 8 weeks old dogs can use Frontline Plus, while K9 Advantix can still be used on dogs of at least 7 weeks old. Can I use the medications for pregnant or nursing dogs? The fact that Frontline Plus is less harmful has made it approved for usage even on dogs that are pregnant, or nursing. As said earlier, K9 Advantix is more harmful on pets, so you need to consult a veterinarian for thorough verification process before you can use K9 Advantix on pregnant or nursing dogs. For Frontline Plus to work, fleas must bite your dog first. But when you apply K9 Advantix on your dog, she doesn’t have to be bitten before it works; it keeps fleas and ticks away from her automatically. Advantix seem to work better and that is what we have picked for our dog Rosco (and our two cats). The reasoning is Advantix repels fleas and ticks. 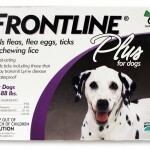 We found that with Frontline Plus, we were still finding fleas on them and wold bring them into the house. Conclusively, nurturing a dog that is suffering from ticks and fleas isn’t only uncomfortable and dangerous for your dog alone; it can also bring about physical and emotional stress on you as well. Therefore, be sure your dog is treated accordingly and you’ll both be happier and healthier.